The role of yoga & Ayurveda in treating psychological trauma & addictions; for integration of mind, body and intelligence. Ayurveda is very clear that it is the Mind that is foremost in both creating and destroying health. In our rush to embrace a modern world we have separated ourselves from our history of medicine. Our actions today create our tomorrow. With the modern advances in psychotherapy reflecting even more the wisdom of Ayurveda and yoga, it is time we recognized the inherent relationship between compassion and health. Kindness as medicine. Caring as therapy. And the epigenetics of our being reflecting the choices we make. We are the tomorrow. If we choose to heal our minds today, we create a better tomorrow for all minds of all Beings. Sattvajaya punar ahitebhyo arthebhyo manonigraha: Regarding techniques for controlling or restraining the mind from desires for unwholesome objects, to be achieved by increasing Sattva.This is our starting point and our end goal. 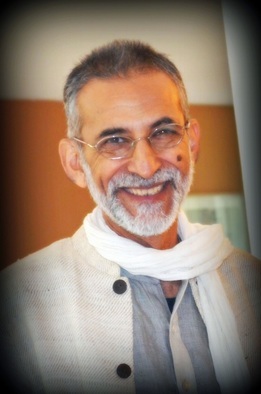 Arun will be available for limited private consultations on Wednesday and Thursday prior to the weekend immersion. Contact Mary Bruce for information and to reserve your space. 7-8:45PM: Satsang: Vedic Science of Mind Formation Enumerated.